Research establishes health and joy are correlated with quality friends. 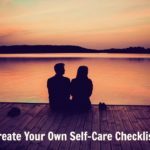 Here’s how to enrich your life with healthy relationships. Reciprocal relationships are an essential aspect of wellness for human beings. That means that the amount of joy you feel – and the amount of health you experience – during any given year correlates to the quality of relationships you possess. 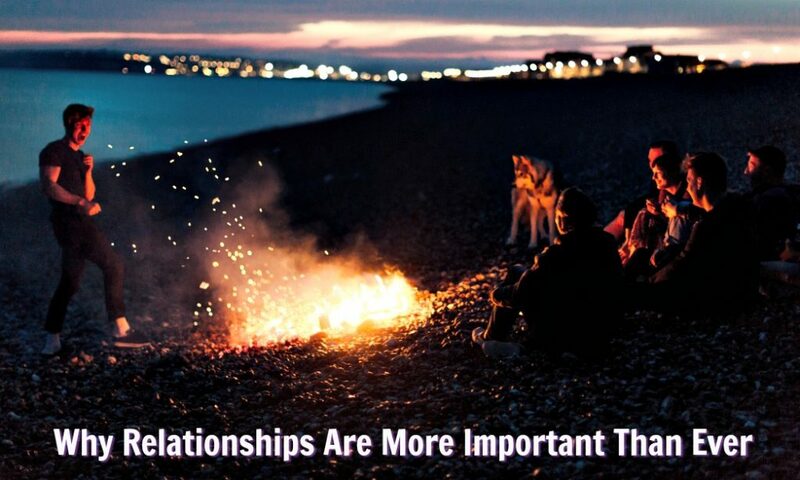 First, you have to decide which relationships should be your most important. Next, you can choose to reinvest in those relationships. Additionally, you may decide that you need to create some brand new relationships. The time and energy you invest in your relationships will, long-term, reap big dividends. It is through relating to other human beings that you grow and evolve – and how you deepen and expand your experience of love, joy, and meaning. More people over the age of 50 have PTSD than is commonly known. Imperfection is what makes life interesting. Few of us were born into the perfect family of origin, place, time, and culture. Sometimes, unfinished business from childhood stays buried in the unconscious – because, understandably, most of us led busy lives and didn’t have extra time to resolve every single psychological hiccup – and resurfaces in midlife or post-midlife. Since each child is a little different, every child needs something slightly different from her caretakers. If those relational needs go unmet, she will act-out. The more she acts out, the less her relational needs are met. Which causes more acting-out, and that, in turn, creates more distancing from her caretakers. On and on it goes, until an unfortunate cycle develops. This cycle can carry on – in small or big ways – through adulthood. It can make it difficult to develop new, healthy, reciprocal, intimate friendships. Among the most effective ways to show The Universe that you are serious about life, is by spending a little extra time and energy on the connections you have with particular people in your life. The ultimate social experiment is to try to examine one’s own relationships with fresh eyes. It sounds easy, but, in reality, cultivating new relationships – and deepening existing ones – requires some effort and, hopefully, a strategy. If living a happy and healthy life is important to you – especially as you age – then you must pay attention to the relationships in your life. A good place to start is to identify your 28 biggest givers. If you’re an introvert like me, you might not even know 28 people. That’s okay. Just make a list, however small, of the people you do know who you experience as generous and kind. Write down 28 names of your most favorite, most-generous friends and acquaintances – and also write down when the last time was you reached out and connected with each person. The number 28 is derived from the capacity of the human brain to form intimate attachments. 28 is thought to be around the upper limit of close adult friendships that one person can handle effectively. It’s connections with other human beings that turn life from black-and-white, into color. 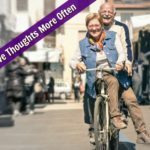 The more healthy, intimate connections you have, the more vitality you will have in your later years – and research suggests (see sources below) the more of those later years you will actually have. A review of 148 studies found that people with strong social relationships are 50% less likely to die prematurely. 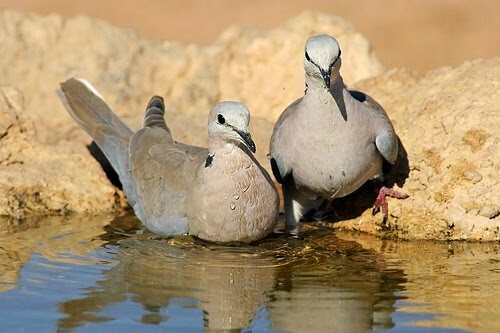 Some animals only thrive amidst an environment of healthy relationships. Additionally, prosperity often equates with the abundance of quality, reciprocal relationships in one’s life. So close connections with other people are even more than just the spiritual zest of life – they have practical, earthly implications, too. Reciprocal, gratifying relationships are an important part of your successful aging strategy. Any hospice volunteer will tell you that – in the end – the realizations people have as they are dying are related in some way to a wish that they had been more intentional with relationships while alive. Paying close attention to your connections with others is not an extracurricular activity – it’s the reason for life itself. It is relationships that matter most, and any new wellness regimen that does not include a component for improving relationships is incomplete. 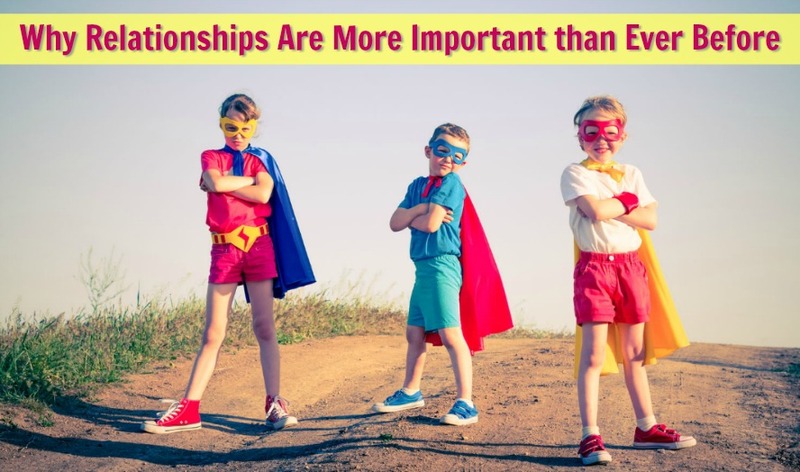 Interpersonal experts such as Brian Buffini, Keith Ferrazzi, and Michael Port passionately devote their entire professional lives to helping others understand this simple concept: to increase your success you must improve your relationships. Healthy relationships are what provide you with the sensation of being fully alive – of being heard, seen, deeply known, and loved. Make your list of 28 relationships today – give yourself a month to reach out and connect with each of them. Think of it as your personal social experiment. After a month, you can determine for yourself in what ways your life feels enriched. Intention refers to the purpose behind the actions you take in your life. There are times when you rush headlong into your day, scarcely mindful of the whys or hows behind what you’re doing. It’s that way for everyone. Auto-pilot has been somehow been activated and you’re letting it set the course. However, there are other times when you have a clearer objective and are consciously tending to your process as you go. If you hope to make a true and lasting change in your life, it’s important that you bring more awareness to your daily actions – through your intentions. Intention allows the mundane to be molded into the sacred. It creates an avenue to consciously join your yearnings with your actions. An intention, therefore, becomes the paintbrush creating the artwork of your life. Without it, you’re just hoping the paint makes its way to the canvas where it will somehow get moved around by unseen forces resulting in something beautiful spontaneously emerging. Many of us have a vision for the reality we would like to bring forth but forget to consciously tend that vision and before we realize it – it has faded away. There are both big and small ways to grow your awareness and to foster an evolution of a life you love living. For instance, I can set the intention, at the beginning of our day, that I would like to be more social, more authentically interested in others and to speak more compassionately to myself and others. Or, that I would like to have a productive day so that I can have more downtime to spend with family after work. I could set an intention before I meditate by saying that my purpose is to bring harmony into myself and my community. I can also set the intention to remember my dreams upon waking. Sociability is the quality of being social. It’s what connects people to one another and gives life fulfillment and enhanced meaning. I help people to up their joy levels! Relationships imbue life with color. What is your current level of sociability? What is your intention with the relationships in your life? Setting intention then becomes an announcement to your self and the Universe that you are ready to move in a certain direction. It can become a very powerful tool if you can get into the habit of doing a quick check-in before engaging in some of the larger and the more subtle moments of your day. Before beginning to set an intention, it can be helpful to become aware of your motivations. It may surprise you, but many of us have only a vague awareness as to why we are doing the things we are doing. Let’s take the example of a sociability. When you are invited out to gather with others, what are your reasons for accepting or declining the invitation? • Do you feel like you want to get to know this person (or people) better? • Do you look forward to spending some one-on-one time with a close friend? • Are you excited for a change of pace? • Do you feel obligated because it is work related? • If so, do you feel put upon and resentful? 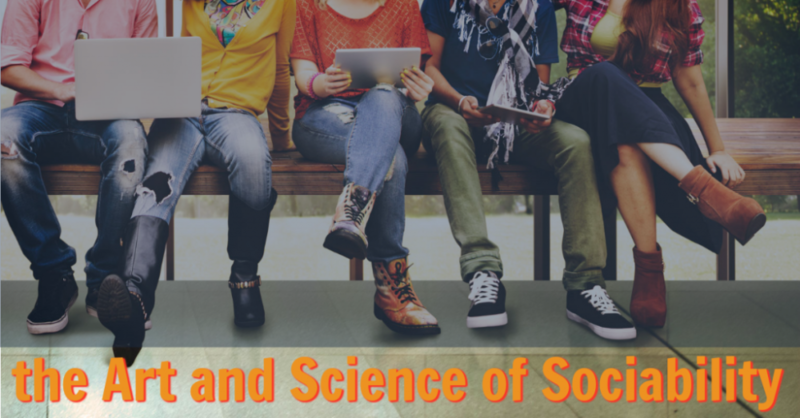 It may seem like a lot of grilling to put yourself through, but you may be surprised by some of the answers that arise around sociability. The importance of this process is that it allows you to discover whether your actions are in line with your needs and desires. When you become aware that you’re not speaking your own truth – that you are perhaps overextending because of a fear of disappointing others, or fear of lack of approval – you can decide if you’d like to continue with the same reactive responses or to live in your truth and be responsible for your own needs and limits. When you become more aware of your underlying motivation, you can begin to set intentions that are more in line with the life you are trying to foster. So far, I’ve encouraged you to look at your tribe (the people you know), reflect objectively on the individual people within your tribe, and feel the significance of your entire tribe (as a whole) on your life. The benefits of doing these exercises are potentially immense. Research has established that the more healthy and intimate relationships you have, the longer you will live and the more vitality you will have in your later years. Paradoxically, the human brain and psyche (and practical limits to our time and physical energy) reveal that 28 close adult friendships are about the most a human being can handle effectively. One of the first steps in understanding your current tribe is to name who’s in it and to describe the quality of each relationship. By “tribe,” I mean the people in your life who mean the most — who you impact the most, or they you. Tribes are the natural human organization, just as pods of whales or troops of baboons. Millions of years of natural selection gave us the tribe, and we (the dominant culture of the past 10,000 years) abandoned it in favor of hierarchal structures (not by choice, but by agricultural crusade). The great thing about the tribe is that it benefits all of its members, offering cradle-to-the-grave security. Daniel Quinn’s Ishmael delves into the 3 million year history of the tribe (if you haven’t had the pleasure, I recommend the book highly). Your tribe forms your own personal society and helps connect you to the greater human experience. You connect with members of your tribe because you’re linked in some essential way — either you have good chemistry with a person, or you have social, religious, economic, or blood ties, and (usually) a common culture and dialect. Some people in your tribe live thousands of miles away and you only speak on the phone a few times a year, other members you see every day in person. How many people in your tribe are from your family? How many are friends that you have made? What percentage of the names on your list live in close proximity? How do each of these people meet your needs? How do you give back to each of them? Is there a sense of equity in these relationships or does it often feel like one person is coming out ahead while the other one is losing? How authentic do you feel you can be around each person? Can you discuss the issues that most matter to you, or do you have to leave part of yourself at the door for fear of making them uncomfortable or knowing that you will not be accepted? Do any people from your tribe bring out the best in you, or, the worst? Have you ever sat down and talked about your relationship or ways to improve it? Do you feel like you have all of the support you need — the space you need? If you could change your tribe, in what ways would it be different or the same? What would that change look like in your day-to-day life? The above are just a few of the questions you can ask yourself as you begin to increase your awareness about who is currently a member of your tribe and what are the strengths and qualities present within it. Once you have a better assessment of who is in your tribe – what those relationships feel like, and what your needs are versus what’s available to you – you can begin to make choices about ways to improve the quality of those relationships to your own and others’ benefit. It behooves you to consider the beneficial and sustainable number of people to have in your life. This might sound peculiar, but I assure you it makes a difference. Various surveys (including from the Nielsen Company) and research (including the heralded “Dunbar’s Number”) reveal the average modern citizen is acquainted with approximately 285 people, that the human brain is wired to maintain only 150 of those 285, and in the end, only about 28 of those can be consistent, intimate, healthy, and reciprocal adult relationships. These are not hard and fast numbers without room for flexibility, and there are different theories about the ideal number in a tribe. Research on the subject often shows that for 99.5% of human existence, our species typically lived in groups that ranged from about 40-50 members (imagine a small village of 28 adults, 7 children, and a few elderly). When the groups grew larger than this there was a tendency for them to split and form smaller groups. The graduate school I attended designed its programs to allow students to move through in cohorts — experiencing every class together from start to end of the 2-year program. The purpose of this design was to create a safe and familiar container where experiential learning would have the best chance to unfold successfully. During the first year I attended this program, my class numbered twenty-seven students. I noticed with this class size, I was able to easily track each of my fellow students. I was able to have a personal connection with each one (some, of course, deeper than others) and to be aware of their absence or presence within the group. Overall the group felt unified and cohesive. Unlike the palpable unity in the small group, the large group felt more splintered – having subgroups, fracturing, and loners. If someone was missing from the group, any one of us was less likely to notice. When we sat in a circle (to each share our individual experiences), it was nearly impossible to sustain the energy and attention required to follow each person’s personal story and commentary, no matter how brief. Only 10 more people in this class, but it might as well have been 100, that’s how much just 10 extra people changed the quality of the group experience. And the changes were clearly not about personalities or chemistry – it was simply that the group had grown large. How many people have you been able to be close to, without feeling yourself getting stretched to thinly, or letting other people fall through the social cracks? How many people can you give your attention and affection to before the quality of interactions begins to diminish, for others as well as yourself? I’m not suggesting that you try to control this outcome in a calculated way. In some regard, there are regulating factors built into our interactions. If we are overextended on the social front, out of frustration or diverted attention, some people will just naturally begin to drop out of our lives. We all have an optimal number for our tribe. The goal is to determine what number is and to keep an awareness of what happens when the number balloons or deflates. It’s best to approach these exercises with a light heart, a flexible outlook, and even a sense of humor. Try not to get too rigid about the math. Some people are obviously more energy-draining than others, and the optimum number for your own tribe is dependent on the personalities within it, and also fluctuates depending on circumstances. For example, a very sick friend could require more attention and time than 28 with relatively smooth lives, and that sick friend might be the most kind-hearted person in the world. It’s also important to note that in today’s world it’s nearly impossible (and undesirable to most) to create an insulated group of twenty-eight or so (my graduate experience was unique in its design and intention, and in some ways removed from the realities of the modern world). While modern tribes are collective by nature, they are also individual. For example, the people who are in my tribe are not necessarily the people who are in my best friend’s tribe. We can think about our tribes like the moon’s cycle with the overlap sometimes being just a sliver of a crescent with little mutual sharing of relationships — and others nearly full with a heightened level of shared relationships. This creates a uniquely challenging opportunity for the individual. It’s difficult, if not impossible, to gather our entire tribe together so that we can make choices and observations about how to define our roles and responsibilities and how to strengthen and grow as a unified group. In current times we must define our tribe in terms of our own understanding as well as our circumstances, needs, and wants. Due to the lack of set group cohesion, it becomes even more important to take an honest look at what we are cultivating in our lives, in relationship to what we need and can offer in return. How does each relationship help you grow? How does it keep you stuck? Are there relationships you would prefer not to have? If so, what are the factors that keep you connected to that person? What would an ideal tribe look like to you? In what ways is your tribe like that now, and in what ways could it continue to evolve? What does your tribe provide to you, and what do you offer to your tribe? What are the challenges you face in creating the tribe you desire? In large part, it’s a commitment to exchanging energy equitably with another human being that makes a relationship meaningful. Relationships aspire to offer feelings of warmth and belonging, and the sensation of being known. Much of this hinges on exchange – that fairness and value loop-of.energy that is passed between people leaving each with the feeling that they are winning. Extroverts get their energy from being around others, and prefer larger numbers and quick, bright exchanges. Introverts are comfortable with smaller numbers of people, but they’re also generally able to go deeper in each of those relationships. For those of you who happen to be an introvert, I encourage to remember that it’s much easier to remove negative people from your environment than it is to add new positive people into your life. Removing negativity can be relatively fast and is the best place to start – adding positivity takes longer for adults, and is a process. For an introvert – someone who recharges their emotional batteries in solitude – 28 is just an inspiring goal – not a mandatory requirement. Think of life as a delicious journey during which you get to add positive people gradually over time, as you get to know yourself better and better – and as opportunities arrive intermittently. There is an irony in today’s culture: people often feel under-utilized, feeling a lack of meaning in their lives while – at the same time – experiencing themselves as too busy and physically drained. Many people have convinced themselves that they are imagining it. Surrounded by noise, chaos, and responsibilities throughout the day, how could they be isolated? When people increase their feelings of connection and intimacy, disconcerting feelings diminish. This highlights the importance of tending to our tribe. Finding ways to connect more authentically and intimately helps give meaning to our lives. It’s important to acknowledge that all relationships are not created equally. Sometimes we experience unhealthy or unproductive relationships and we need to examine how and if change is possible. You may find there are certain people in your life who create an interaction so toxic that the healthy choice for you is to completely sever (or at least severely minimize) contact with these people. These sorts of relationship issues often stem from family of origin connections where there was abuse or neglect. It can be difficult, if not impossible, to change these dynamics without willingness from both parties to acknowledge and heal old wounds. With this in mind it is understandable (and healthy) to recognize when true change is not possible and to respond by distancing yourself from these unhealthy dynamics. However, it is also important to remember that some of our most spectacular growth can come from our more challenging relationships (as long as they are not abusive and perpetually combative). I believe the Universe employs a divine wisdom when it places us with family who can feel utterly dissimilar to ourselves. If we only ever had to encounter and interact with those who share our views, beliefs, and habits we could never grow into the fullness of our potential. By understanding other we can begin to understand Self. These connections allow us to be exposed to ideas and thinking which helps us to solidify and expand our own knowing. These are also the relationships where honesty can be offered up (sometimes with an unpleasant taste) and often tolerated in ways that other relationships cannot. If we only have people in our lives who create Kumbaya moments (which isn’t possible anyway) we lose out on opportunities to grow. As much as we love those with whom we share much in common, it can be those who stand in opposition to us who can help us understand ourselves more fully and assist us in reflecting upon the positions we take and the values we want to cultivate. There can be blessings in all types of relationships, especially when we come to use those differences as a catalyst for personal growth. Ah, if only there was unlimited time, unlimited energy, and our brains were able to process and hold space for thousands of intimate relationships. But time is limited, our physical energy has limits and our cognition, too, requires a limit to the number of close friendships we can sustain. The exercises above will help you to better answer some of life’s most important post-50 questions. The exercises increase your awareness about your tribe as it exists now, and will help you deepen existing relationships and create new ones, if you choose. Answer each of the following to the best of your ability, but without over-thinking it. Simply write down what pops into your mind first and let that flow onto the paper. You can always revise and fine-tune it later. The first exercise is to write down your 28 closest adult relationships. You will periodically need to revise the list. This isn’t a high school popularity contest, and you don’t have to share the results of your list with anyone else. The purpose of your list is to make sure you’re tending to what needs tending, and cultivating your relationship garden so that it can thrive! Perhaps one of the most effective success principles to include in your aging strategy, is the Pareto Principle (also known as the 80-20 rule, or law of the vital few). The principle is named after an Italian economist Vilfredo Pareto who first observed that 20% of the pea pods in his garden contained 80% of the peas. This principle seems to operate as a natural law of the Universe, and when we align with it, our lives can become uncommonly effective and productive. 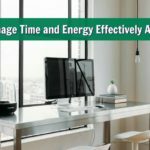 What the Pareto Principle reveals, basically, is that 20% of your tasks deserve 80% of your energy. For example, you probably have a ‘to do list’ (be it in your head, scribbled on paper, or saved on a smart phone). These are the things that need to get done. But which items on your to-do list will lead most directly to your increased joy and prosperity? Although Pareto couldn’t skip the seeding and watering of the ineffective pea pods and just produce that productive 20%, we can examine how we spend our time, and with whom we spend it. I encourage you to run everything in your life through the 80/20 filter, but most especially your relationships. Pay attention to your daily habits and weekly calendar, look through those 28 names on your Relationship List and examine which of these people seem to most contribute to your sense of well-being, prosperity or joy. Who are the most generous people in your life? In the second exercise that follows, you’ll have an opportunity to write them down. Keep in mind, that when I use words like “generous” and “equitable,” I’m talking about overall energy. I’m also asking you to look down from a high altitude over a very long course of time. Someone you care about might at this moment not be “generous” or able to exchange energy equally with you, but over the course of your life they have been a generous soul. Are you giving the most generous people in your life about as much time and energy as you give everyone else – or, perhaps, even less? Do you even have an awareness of who the equitable givers in your realm are? Imagine for a moment that your life is like a glass jar. You have rocks, pebbles, and sand. Your goal is to fit as much into the glass jar as you can. The “givers” in your life are like those rocks. You’ll want to make room for them first! With the time that remains, you’ll have the opportunity to utilize some of your remaining energy resources on your life’s less-pivotal relationships, as you choose. Just “feels” right, doesn’t it? As you consider where you will choose to devote your resources going forward, I encourage you to be aware of the mistake most modern people are making: offering their loved-ones and “givers” their energy leftovers. So, from your list of 28 of your favorite friendships, relationships, colleagues and acquaintances, choose your 9 biggest givers. Write next to these 9 names when you last saw each person socially, face-to-face (even if it was online using Skype or Google+ Hangout). Next, plan a get-together or webcam appointment (some of your givers might live out-of-town). Start with the Giver with whom it has been the longest since you’ve spent some quality time. See each of your 9 Givers once each quarter (every three months). Connect with each of the remaining 19 in your tribe once every half-year. The time you spend with your givers should be quality time. These are the people who help to infuse your life with its magic. Even if you’re shy, extend yourself. Make the call, and plan something together. The remaining 19 names on the list of relationships will look very different for each person. If you’re a busy parent with five kids in the school system, you may know thousands of people. If you’re an introvert who works from home, you may know only a few people. It matters not. Just fill out as many names as you can. Some people you’ll be able to see one-on-one, others you can group together into activities — a casual Sunday brunch at home, coffee at the corner cafe, or an easy hike. As a garden needs cultivating — water, nourished soil, sunlight to grow — so relationships require consistent effort. Come harvest time, however, what rewards we reap! Your crop will be abundant!